Lying a few hours off the NW coast of Phuket, The Similans offer a glimpse into what untouched tropical waters should look like, whilst The Surins are home to sea-gypsies descended from Austronesian settlers - the very people who still conduct themselves in a hunter-gatherer lifestyle and famously survived the 2004 tsunami because they were able to read the sea and move out of harm’s way. 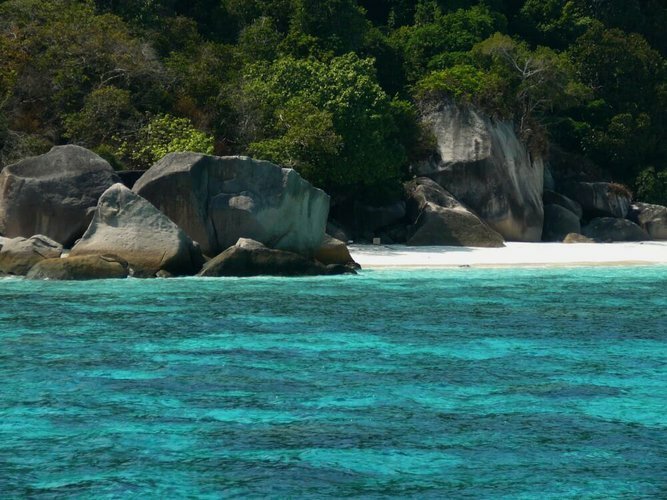 From the comfort of your own private yacht charter from Phuket you will enjoy an extended trip to these wonderful islands that are perfect playgrounds for diving or game fishing. 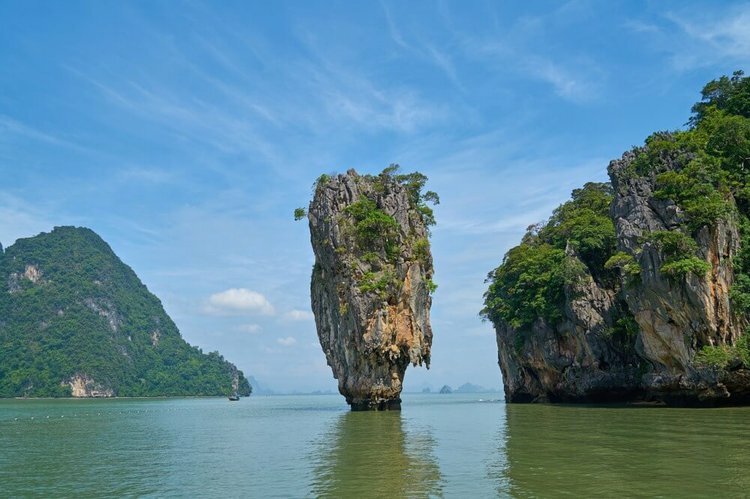 Set sail for a short cruise on your luxury private yacht charter from Phuket to the Phang Nga bay. The limestone karst cliffs rising dramatically out of the emerald waters of the bay are sure to leave even the most seasoned traveler awe-struck. 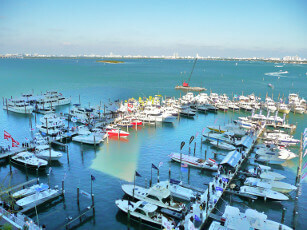 With ample activities you can do from your own private yacht charter - from sea canoeing into hidden “hongs” (sea caves inhabited by exotic wildlife), to lazy lunches eating the catch of the day at a fishing village built on stilts and jutting out into the water - this exciting adventure from Phuket is a must-do for you and your family or friends. No wonder that this area was chosen as the backdrop for two James Bond films! 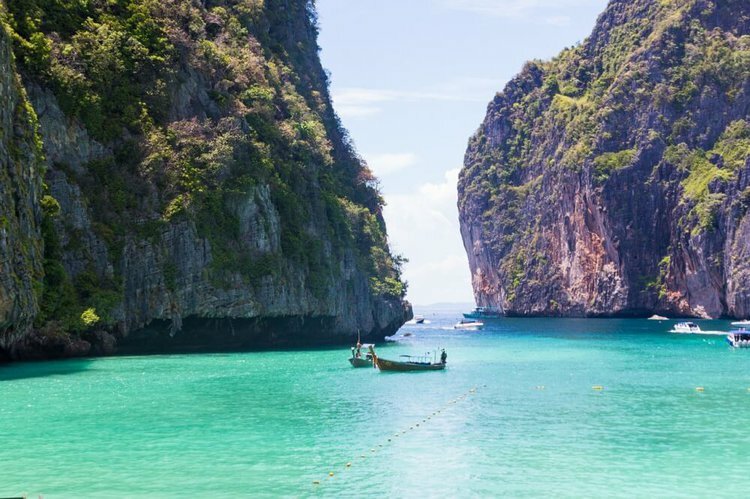 A popular day trip on an elegant monohull or a catamaran charter from Phuket is a relaxed cruise to Phi Phi island - home to the breathtaking Maya Bay, where Leonardo diCaprio's “The Beach” was filmed. Maya Bay is guarded by impressive cliffs on three sides, opening to a beautiful soft-sandy beach, and amazing underwater colorful reefs, with myriads of exotic fish swarming around. Start your sailing from Phuket early in the morning before the hordes of tourists arrive, then set off towards the quaint bays of Krabi affording some of the most beautiful sunsets in the region.